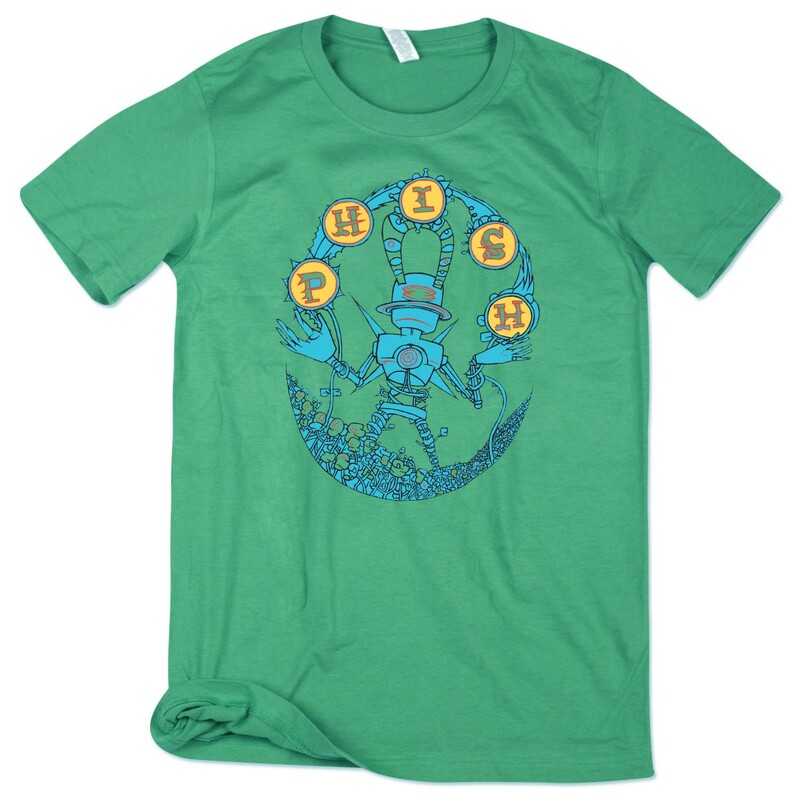 Robot logo on heather green 52/48 cotton/poly blend t-shirt. I love the shirt. Its soft and thin and fits great. You did an excellent job with the shirt company who makes the actual t shirt. I love the shirt, it's super soft! More importantly, my package was either lost or stolen from my porch and Dry Goods graciously sent me a replacement! I could not have been happier with every aspect of the transaction.